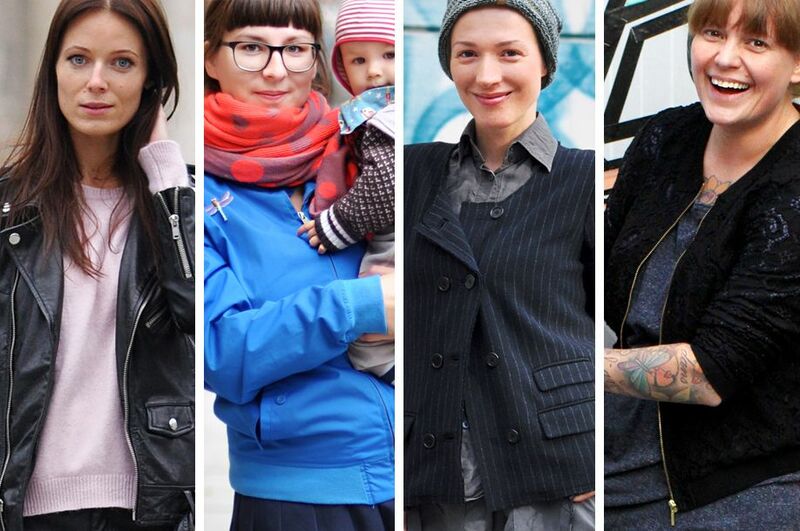 On our blog Hauptstadmutti (www.hauptstadtmutti.de) we are dealing a lot with the seasonal fashion trends and how they are being translated on the streets, also with mothers and pregnant women. This autumn we noticed the trend of the blouson jackets. Of course they are nothing new and also quite à la mode the last seasons but for this autumn you cannot live without at least one of them. Which is actually kind of logic, since the blouson jacket is chic and well a all-rounder. These days you will see them with flower prints, the leo look ones, made of knitted fabric or lace, with paisley pattern, or with decorative stitching. We, ourselves go with the ones in leather or silk. But with silk as a mother you always have to watch out. Very fast you get those little mouth prints of your kids on your shoulder or stains from the little hands they wipe of your jacket. But lets start and see what we discovered in the Berlin streets. At first the leather blouson jacket. We met that mother in the leather jacket (http://hauptstadtmutti.de/sonstiges/nie-allein) in the late summer in the middle of Berlin. Combined with a soft flowing jersey dress and black ankle boots, she just rocked. Also very stunning was nina (http://hauptstadtmutti.de/herbst/power-engel) dressed in a jumpsuit and a biker jacket and of course Dorina with hat and in leather(http://hauptstadtmutti.de/sonstiges/hut-ab-oder-nein-bitte-auflassen). Another version is the jeans blouson jacket. Nora, the pregnant woman wore it combined with a long knitted jacket underneath(http://hauptstadtmutti.de/sonstiges/ob-leben-oder-style-bewegelich-bleiben). 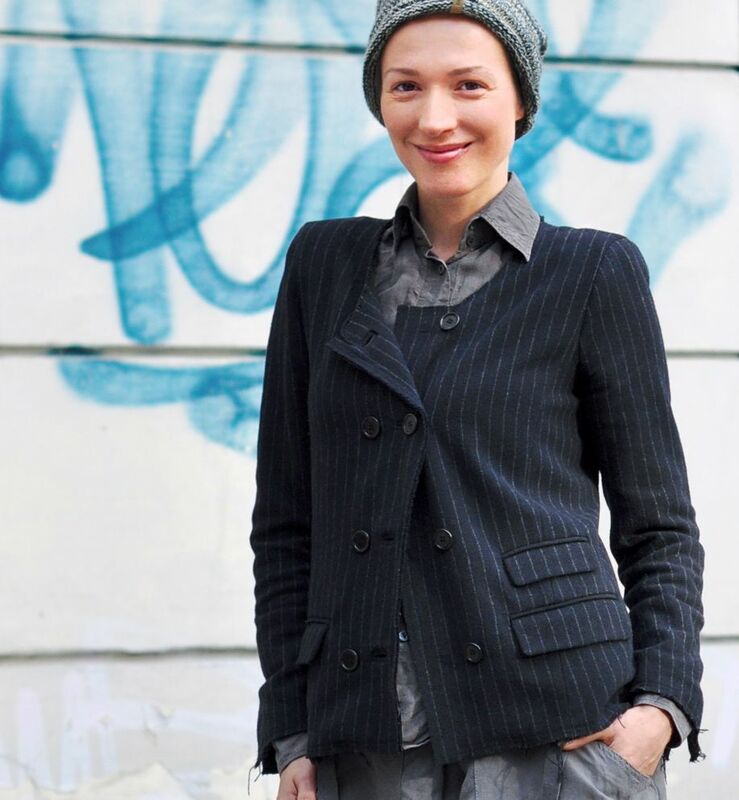 The advantage of the blouson jacket: you can wear it unbuttoned, so it fits through the whole pregnancy. A very flattering companion ist the flight jacket with wonderful printed pictures on it. And that trend will still last for a while. It was seen everywhere on the latest fashion week shows in Paris and Stockholm. We met a mother in an enchanting variant of it (http://hauptstadtmutti.de/sonstiges/fur-die-herrschaftlichen-jungs-von-morgen). Very popular and because of its applications very flashy is the double layered lace blouson jacket. We actually had to touch the fabric because it just looked so nice (http://hauptstadtmutti.de/herbst/mutter-in-voller-bluete). And it is very suitable for trousers, dresses, and skirts. To get used to handle the camera and take pictures with children that move very often and are focused only for a short time, you really need to photograph always, or at least as often as possible. Street style means taking pictures very spontaneously. But don’t be afraid of asking people to photograph them. The worst case could be that they say no. But mostly they feel flattered to be photographed. We use our Nikon D90 usually with a 50mm lens, sometimes with a 35 mm lens. Often we rely on autofocus, because the children do not have a lot of time for different poses. We take the best pictures in the early evening hours when the sun is not as bright and when there are no shadows. 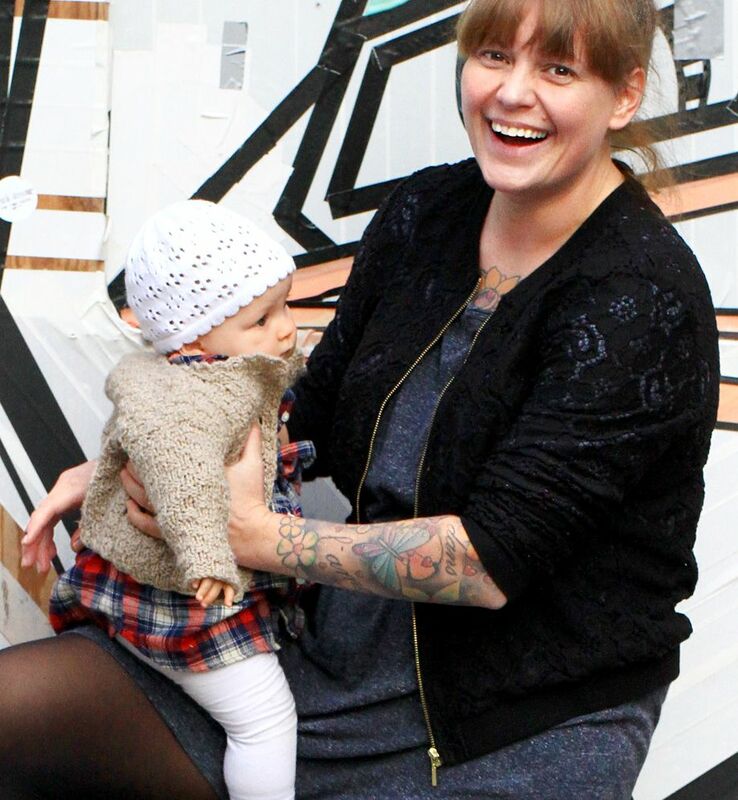 We are Claudia and Isa from the German streetstyle and fashion mama blog Hauptstadtmutti (www.hauptstadtmutti.de). With our blog we try to prove that with pregnancy and motherhood it is not the end of a woman but actually the beginning of something quite awesome. 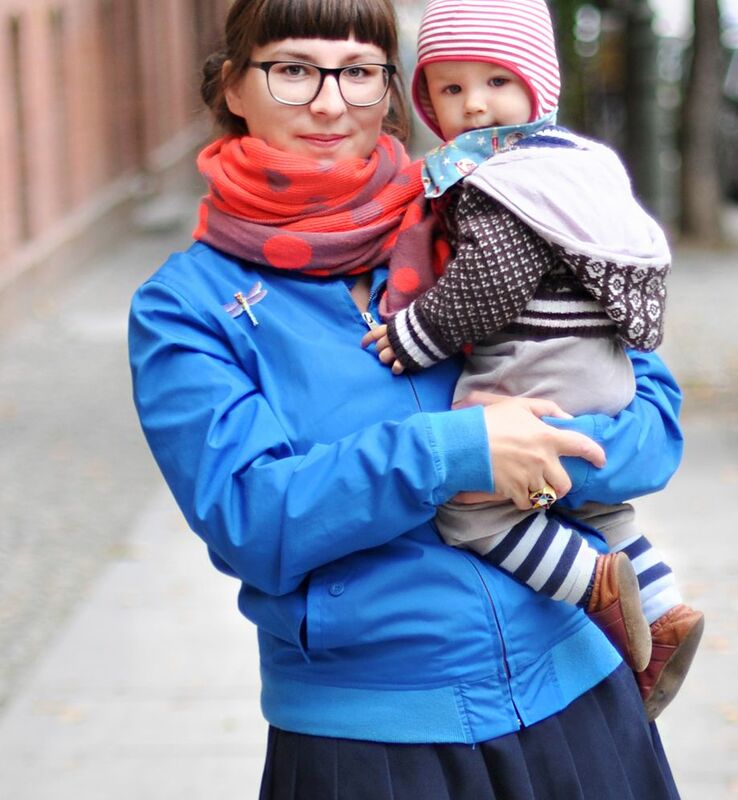 We take pictures of mothers on the streets of Berlin and elsewhere and tell everything about fashion and beauty concerning maternity and being a mother. You will also find us on Facebook, Twitter, Instagram and Pinterest.